It seems a little difficult when first time setup.Cause mainly purchase experiences are about operation.Please red user manual carefully and contact service team first.It is important. Do not support Netflix, Hulu and other encrypted videos and APP. Mirroring Screen from your phone to big screen like TV/Projector.Casting Videos Audios,Pictures,Files,APP Contents.Like Youtube,Whatsapp,Skype and so on. 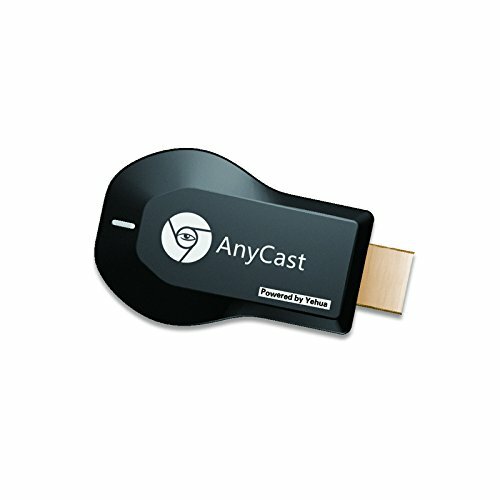 Compatible: Support Android 4.4 and above. IOS device 6.0and above, Windows 8.1 10. 1080P High Resolution:1080P HD Image transmitter. Do not worry about small screen any more When you teaching in school,meeting in office or entertainment at home. 5.Notes:1.Check your phone if support Miracast Function,2. Keep power adapter stable in 5V1A.